I suffered a miscarriage during my first pregnancy and I felt devastated. As I opened up to my friends, I learned that four of them had also endured pregnancy loss- and I never knew. This made me want to do something- especially when I found out that nearly 1 million couples each year suffer miscarriage in the U.S. alone. 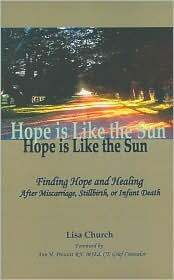 I wrote the book "Hope is Like the Sun," sharing what we went through. I also launched www.HopeXchange.com. A website that is the resource I really wanted during my grief, but couldn't seem to find. The site offers information, support, a free monthly newsletter, resources and encouragement to anyone impacted by miscarriage, stillbirth or infant death. No, I don’t have cancer. But the disease has greatly impacted my life over the past year. My Mom and my best friend were both diagnosed within 2 months of each other. Then my Mom’s best friend a few months later. If that weren’t enough, a family friend lost his long battle and passed away- on Christmas Eve. I’ve been surrounded by cancer for the past year. Completely surrounded. Looking back over the past months, I wouldn’t relive them- not even for the biggest Lotto jackpot ever. But, I have realized some important things during these grueling days…things I don’t want to forget. Life can seem so random and unfair, especially when your loved ones are being attacked by a horrible disease. Watching those I care about fighting through and for every day made me realize that each one of those days is a gift. I started to feel ashamed that my husband and children and I were in perfect health and I had hardly given it a thought. I was reminded, almost daily, how fragile life can be and how ungrateful I had been for taking it all for granted. My struggles seemed to shrink next to the life and death situations I was reluctantly a part of. I have a renewed appreciation for getting up every morning- and I don’t want to waste a single day. 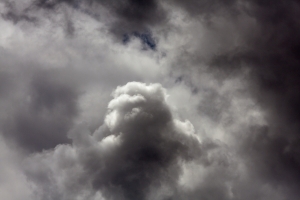 Facing death- your’s or someone close to you- gives you instant clarity. You suddenly realize what and who you could lose. And you don’t want to leave anything unsaid. I felt compelled to share my deep feelings- to say, ” I love you,” as often as possible. We always feel that we’ll have time for that another day and we put off having serious or meaningful conversations with those we care about. I found myself being more direct with the people I love, because wasting time seemed unwise and risky. Say the hard things, but also say the good things; and say them more than ever. Watching how each of my loved ones are handling their horrible circumstances has been eye opening. I’ve seen almost daily bouts of doubt, fear and anger tempered by incredible hope, strength and faith. I’ve witnessed the roller coaster rides of good news and bad news and intense periods of waiting and wondering. Nothing tests your internal fortitude quite like that. And these tests reminded me that your attitude is everything. The difference between making the most of every day- and just surviving. The difference between living and just breathing. Our attitude is all wrapped up in that complicated brain or ours…and it’s the key to everything. We all hold the key to a good life. My biggest lesson in watching the people I love struggle through cancer is the ultimate importance of faith. It’s hard to get up in morning if you’ve decided their is no hope. And hope- the kind that is real, the kind that endures, comes through real faith. Not the kind that makes people dress up on Sunday and “play church.” But the kind that brings peace and defies logic. A faith you can lean on when everything around you is crumbling apart. A belief so strong, you can face death, and not be afraid. For me, that faith is in God. The pain and grief of watching the people I care about in a fight for their lives took a toll on me. I felt some very dark days, and cried my share of tears. But through it all, I have leaned on my faith. I didn’t have a choice- I just wasn’t strong enough. Having to rely on my faith to get me through the day made it stronger. Watching my loved ones doing the same renewed it even more. I honestly don’t know how you make it through such an incredible battle without it. I don’t think I could. If you are interested in a faith like that, find a pastor, priest, rabbi or trusted “faithful” friend you can talk too. It could can change how you live…and how you die. HopeXchange has encountered some technical difficulties and we are relaunching our blog. Please excuse “our dust” as we remodel! We often think of video games as a competition, an escape or even mindless entertainment. But how about a a video game designed to help the player cope with grief? Watch as video game creator Amy Green talks about the award her game won; and how it failed to compare with just one photo of her son, who inspired the game. Green speaks candidly about cancer, grief and hope and how it changed her life. A must watch TED Talk! Calling all Moms, expectant Moms, and women who want to be Moms! This fantastic article about Joanna Gaines is for you! 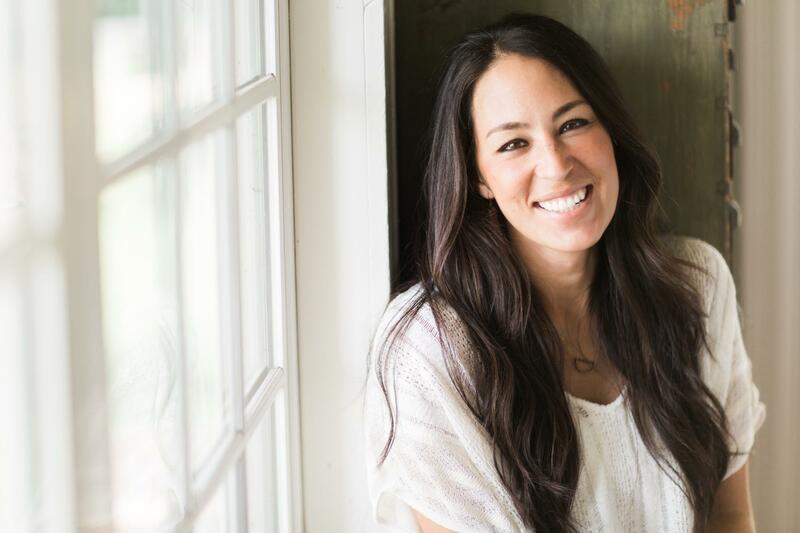 Joanna, or “Jojo” from HGTV’s hit show “Fixer Upper,” openly talks about her faith, her husband Chip (also on the show), and her four children. In this moving article, she opens up about a difficult decision she made on her path to the show and the struggle of Moms to find the balance in raising children. There is also a great message for women who are trying to become a Mom. I was already a HUGE fan of the show, but this article just made me love it even more. Enjoy this must-read article, shared by RAZC at Q Political. Read Joanna’s honest words about her faith and family, just Weeks Before Mothers Day. New Year, New Perspective: This is a MUST Watch! Want to kick off 2017 with a new perspective? Then this TED Talk is for you! In less than 20 minutes this video will and inspire and humble you! Meet the Mom who started the Ice Buck Challenge and let her story fill your hear and mind. HopeXchange is proud to welcome another distinguished guest post! Constance Ray co-created RecoveryWell to provide a safe place for people to share their addiction stories so that others can learn from them and benefit in their own lives. In this article, amidst the holiday festivities, while a relapse is attempting to steal one’s joy here are some ways to conquer it. Wishing everyone a joyful time this holiday season. Photo via Pixabay by Geralt. Big family celebrations, colorfully-lit trees, and exchanging gifts are some of the things that make the holiday season special for many people. 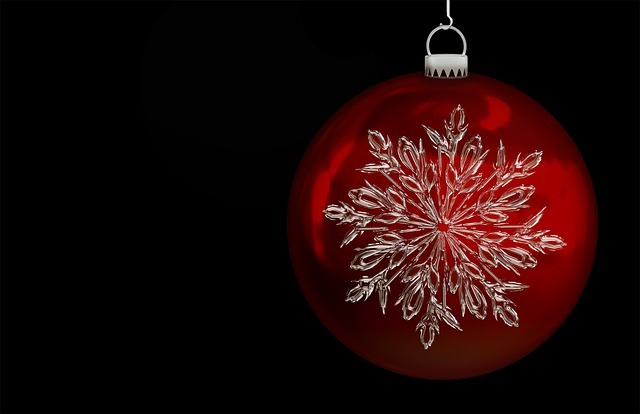 Recovering addicts may view the holiday a little differently, with stress and trepidation. Chaotic parties and family events, coupled with a feeling of loneliness, can all be triggers for a temptation to relapse. Making a plan to neutralize these situations can help you make it through the holidays without having a meltdown or risking your sobriety. Start every single day with a plan of action. Look in your mirror and tell yourself how good it feels to be sober and in charge of your life. Keep notes and positive sayings on your mirror for reinforcement of your daily goals. Set a routine for yourself as much as possible during the holiday season. Maintaining recovery depends on getting good rest, eating healthy foods, and getting exercise in your schedule whenever possible. Placing your health as a top priority will aid in recovery by keeping blood sugar levels in check, curbing irritability, and keeping cravings low. Knowing your triggers and assessing possible stressors can help you make a plan for the day’s events. Don’t be afraid to decline certain parties or get-togethers that may present too many issues for you. Try bringing a close friend or family member with you to events you do attend to support your sobriety. Being sober will not always guarantee life will go as planned. The holidays are not the same for everyone, so be realistic with your expectations. Your joy can come from different places and moments if you look for it. Take control of how you navigate holiday parties and events. Driving yourself to holiday events is one way to have an easy way to leave whenever you feel necessary. Knowing some people or situations might set off your triggers might be a good reason to arrive early and have the option to leave earlier. When people do not respect your boundaries, feel free to leave the area or the party. If you’re a recovering alcoholic, being handed drinks or desserts with alcohol in them could trigger relapse. Plan some drinks and snacks to bring along to parties, or serve yourself before the host does to avoid the possibility of being handed things you might have to politely decline. Board games, movies, or playing outside in the snow might be better options to suggest to family members instead of sitting around talking and pouring drinks. Staying active will curb cravings and alleviate stressful conversations or situations. When things are getting too stressful, take some time to walk away and breathe. Clear your mind of thoughts of substance abuse and focus on all the steps you’ve made toward sobriety so far. Think about things you can be grateful for in your life, instead the possibility of relapse. Call on your support system, whenever necessary. A trusted friend, family member, or sponsor that can be available when you need to talk is invaluable. Get through the holiday season by attending some extra AA or NA meetings. You can find meetings to attend in almost any city while traveling to bolster your sobriety resolve during the holidays. Sometimes we get so focused on our own problems that we forget there are others dealing with the same problems or worse. Finding ways to help support other recovering addicts at events, volunteering at homeless shelters, or asking an older neighbor if they need help with errands during the holidays, can bring joy into your life as much as it will bring into theirs. Actively engaging in a positive, meaningful lifestyle, will make you stronger and more confident in your sobriety, and get you through the holidays stress free. We are pleased to welcome guest poster Jennifer McGregor to the HopeXchange blog! She is a medical student who has seen the impact that mental health has on our overall well-being. 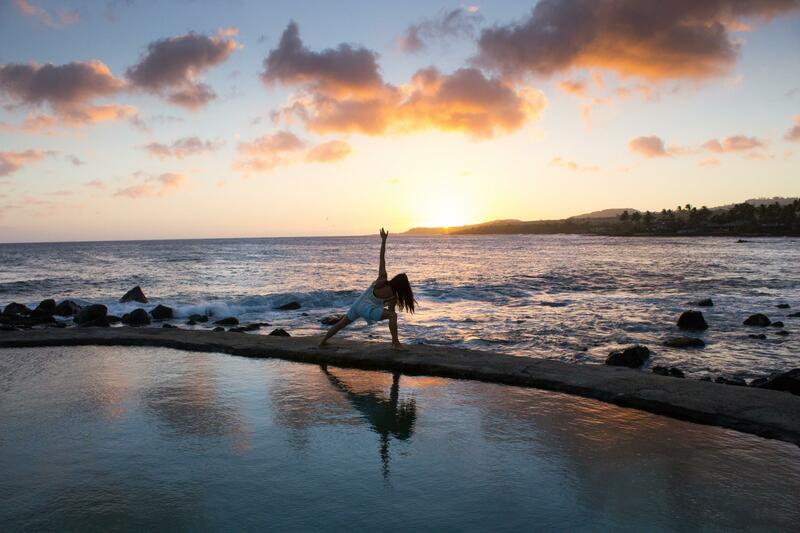 She believes we should all embrace our emotional health in the same we do our physical health. Counseling is one of the best ways to battle depression and suicidal thoughts. The expertise of a trained psychologist can guide a person from the hopelessness of depression and help them to reclaim their life. Though talk therapy represents the standard concept of therapy, it can be expensive and may not work for some. Exercise is a critical component to recovering from many mental illnesses. Physical activity keeps our bodies healthy while providing mood-boosting endorphins to our brains. Exercise therapy is a treatment method that prescribes different forms of exercise to keep mood elevated and battle depression. The self-esteem boost that comes with regular exercise can also be hugely beneficial in combating suicidal thoughts. 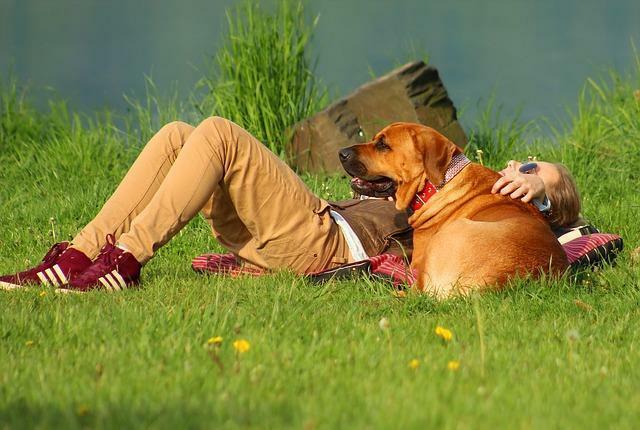 Dogs have been shown to be excellent mental and physical health caretakers. Their need for food, water, exercise, and love ensure that their owners have a reason to get up every morning, a reason to get out of the house, and someone to offer unconditional love and comfort for when they are feeling down. Dogs are also highly attuned to their owners’ emotions and will usually be the first to provide comfort on a bad day. Some therapy groups will bring in dogs to comfort the patients while simultaneously making it easier to reveal personal information. Many people lead lives far too busy to attend therapy sessions, or they may even be embarrassed to tell loved ones where they are going each week. A good alternative might be phone therapy. These sessions are conducted over the phone with a trained counselor, providing essentially the same service as if you were to attend a physical session. Using phone therapy is a good option for people who may have difficulty getting to an office for treatment. There are also options such as video chat sessions and text chat sessions. Text chat can be great for those who struggle with verbal communication while video chat is ideal for someone who wants a face- to-face experience but is unable to make the trip. Meditation alone cannot be used as a complete treatment plan, but numerous studies have shown that meditation is a very effective supplement. Its effects may even match medication therapy. The act of meditating works to silence the mind and embrace feelings of peace. It only makes sense that this would be very effective against something like depression or addiction. It is best to utilize this technique alongside talk or group therapy. Finding therapy for your depression and suicidal thoughts is the first step to recovery. When people suffering from depression do not receive treatment, things can only get worse. Whether you decide to stick with traditional talk therapy or test an alternative route such as meditation or phone therapy, what’s important is the fact that you are seeking help. Once you have taken that first leap, it will only be a matter of time before you start feeling good again. Jennifer is passionate about expanding access to trustworthy health and medical resources and helping others stay up-to-date on the latest developments in general wellness. The past few months have been trying ones for me. On top of the “normal” stresses of life with a family and career came devastating news at home and at work. Three of my co-workers’ wives were struck were serious illnesses within weeks of one another. At the same time, my beloved Mom was diagnosed with a traumatic illness of her own. But it didn’t stop there, my dear friend and neighbor was then taken to the hospital by the rescue squad, finding out that she needed major surgery. The weight of all of these tragic events has been pressing on me. A few times I found myself sneaking to the ladies room at work, afraid I may cry some very public tears. While I found the distraction of work to be a blessing, it sometimes wasn’t enough to keep the worry and pain from creeping in. I realized I was going to have to deal with everything that was happening, because trying to hold it all in definitely wasn’t working. The grief of loss is exactly the same. Sometimes we try to fool ourselves into thinking that we are okay and we quickly move on so we won’t have to feel the pain. Only to find that it is simply hiding, ready to attack later on. Like the “boogey man” who haunts our dreams, grief patiently waits for the right time to strike, and then takes us by surprise. The more I realized that I wasn’t dealing with my feelings, the more I started to feel them. As difficult as this was, it actually made me feel a little better. At least I wasn’t looking for ways to stuff down my feelings, leaving me in a better place to deal with my swirling emotions. When I started feeling vulnerable, I reached out for help. For me, my help comes from my faith. The more I started to rely on my faith, the better I began to feel. I still have a lot of difficult times ahead. While some of my friends and family are getting better, others have life-changing decisions to make. I don’t know what the future will hold, but at least I’ve stopped the boogey man from chasing me. I’ve realized that I cannot make it through this on my own and I’ve asked for help. Don’t be scared by your grief and pain any longer- reach out for the help you need.